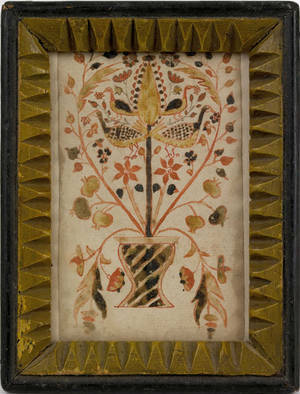 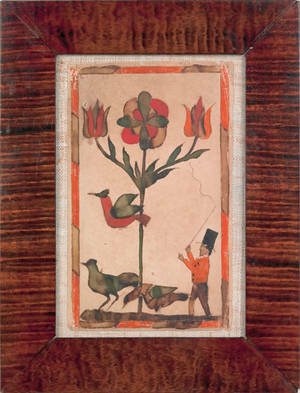 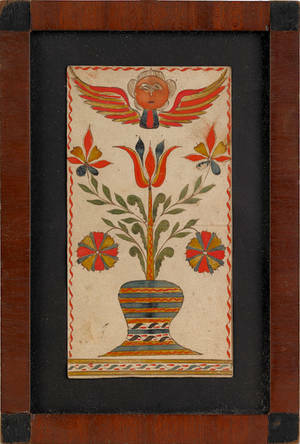 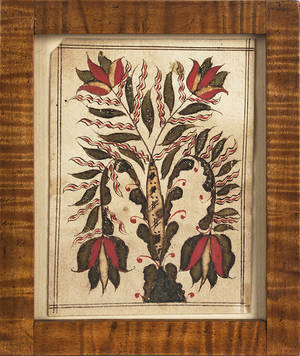 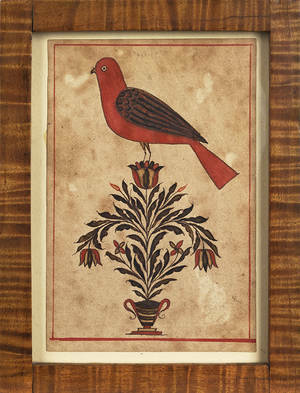 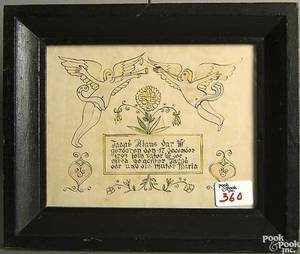 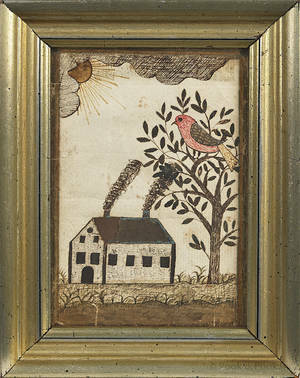 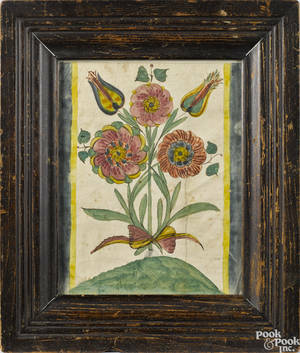 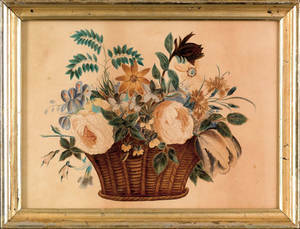 Pennsylvania watercolor on paper fraktur design, 19th c.
Pennsylvania watercolor on paper fraktur design, 19th c. , with yellow, brown, red, and green potted flower tree with perched birds, retaining its original yellow and black chip carved frame, 5" x 3 1/4". 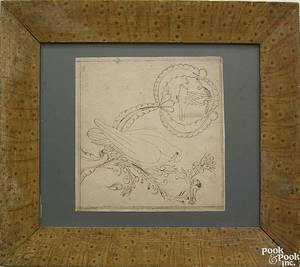 For a similar example, see Collection of Donald A. Shelley, Pook & Pook, Inc., October, 2004, lots 53, 54, and 73. 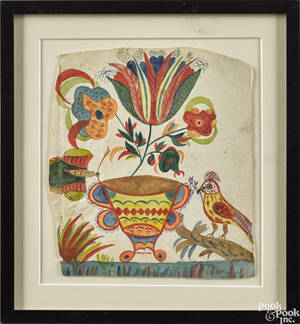 Archived auctions similar to Pennsylvania watercolor on paper fraktur design, 19th c.
Small Pennsylvania watercolor on paper fraktur bookplate, 19th c.
Pennsylvania watercolor on paper fraktur bookplate, 19th c.
Two Pennsylvania watercolor on paper floral drawings, 19th c.
Two Pennsylvania watercolor on paper drawings, late 19th c.
Pennsylvania watercolor on paper theorem, early 19th c.
Pennsylvania watercolor on paper bookplate drawing, 19th c.
Bucks County, Pennsylvania watercolor on paper fraktur book plate, early 19th c.